It's back! Our Independence Day Fun Fest is scheduled for July 6th. 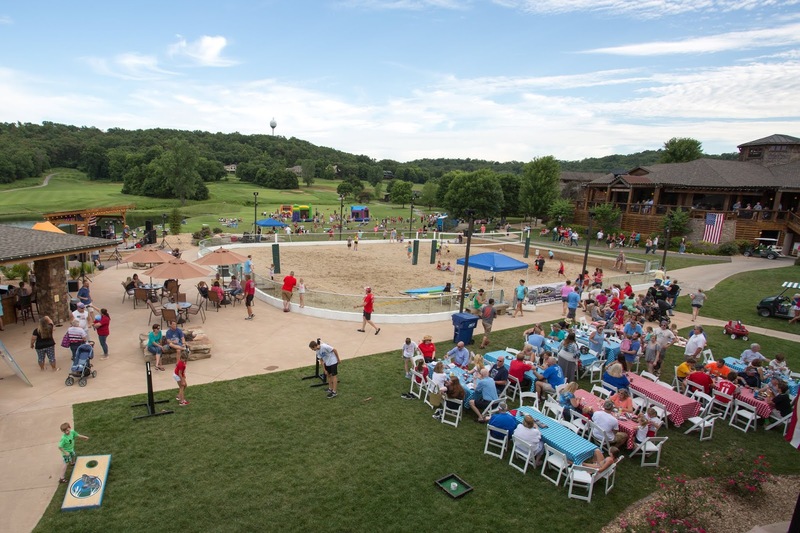 Don't miss this fantastic family-friendly event at our Lake of the Ozarks resort! It's the ideal way to spend time with your kids and enjoy a spectacular fireworks show at the end of the night. With family-friendly activities all evening, you and your kids can enjoy spending time with us during our Independence Day Fun Fest! Have fun with your family at our Independence Day Fun Fest! Enjoy live entertainment, face painting, balloon animals, bounce houses, and MORE! It's a fun way to spend time with your family. Until the fireworks begin, enjoy these great activities and make new memories together. 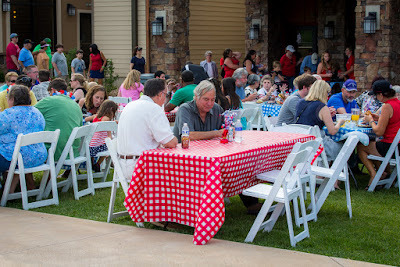 Our all-American cookout features hamburgers, hot dogs, pulled pork, baked beans, pasta salad, fruit, cole slaw, potato salad, homemade bbq chips, and ice cream! Enduldge in our tasty meal for only $14 to fuel up before the big fireworks display. A beautiful fireworks display will be featured at our Independence Day Fun Fest event. Don't miss this spectacular display! Bring a blanket and/or a lawn chair for a comfortable seat to enjoy the fireworks. The beautiful booms can be seen from land or the water. Don't want to drive home after our fantastic fireworks display? You don't have to! Book a room for your family at our Lake of the Ozarks resort. Our lodge offers a number of comfortable rooms for you to rest up after a lovely evening of fun and fireworks. The next day, you can enjoy a wide range of on-site amenities, as well. It's a fun way to enjoy the holiday weekend at the Lake of the Ozarks! Don't forget to mark your calendars - you won't want to miss this fabulous event! Join us for our Independence Day Fun Fest on July 6th. Kick off the holiday weekend in style with our exciting games, thrilling activities, delicious food, and fabulous fireworks display. It's an event that our guests look forward to each year! Stop by Old Kinderhook from 5pm-10pm to take advantage of our family-friendly Independence Day Fun Fest! Can anyone come for fireworks and pay for dinner?